Hello and welcome to my YouTube Channel and Blog today I am going to share with you another episode of Saturday Simple Stamping! 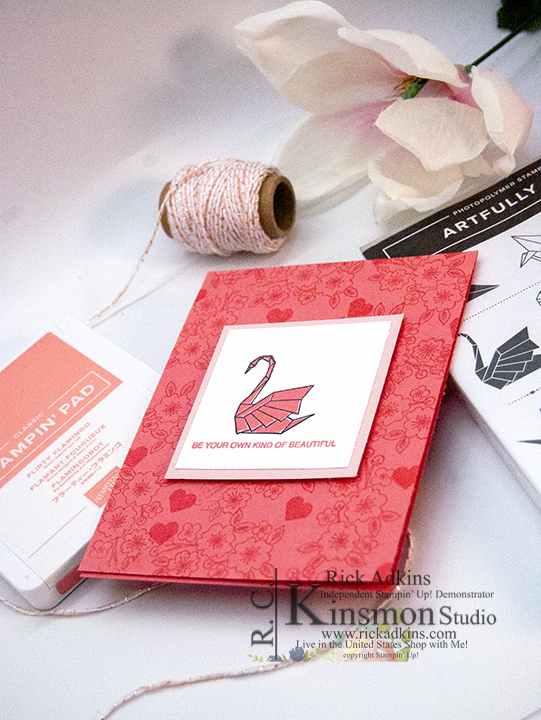 The stamp set we are using today is a host set called Artfully Folded and features the cutest paper folded swans and other birds. Rick's Saturday Simple stamping is a series for beginners; where I share quick and easy cards featuring stamps ink and paper. Every once and awhile I may throw in an additional item, but I try to keep it to just stamps ink and paper as much as possible. Here's a look at today's card. 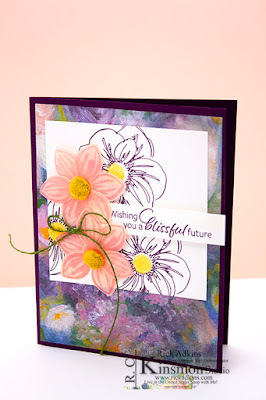 This was a real fun card to do for this weeks simple stamping video tutorial. I loved stamped the followers from the stamp set on the Flirty Flamingo card base (4 1/4 x 11 scored at 5 1/2) in Flirty Flamingo Classic Ink. I cut a little square from Scrap Whisper White cardstock and stamped the swan in Tuxedo black ink and the inside 2nd image in Flirty Flamingo ink along with the sentiment. 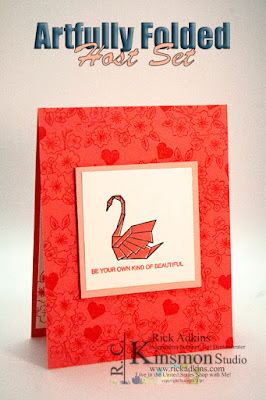 It was matted on a piece of Powder Pink Cardstock for a tone on tone monochromatic look. 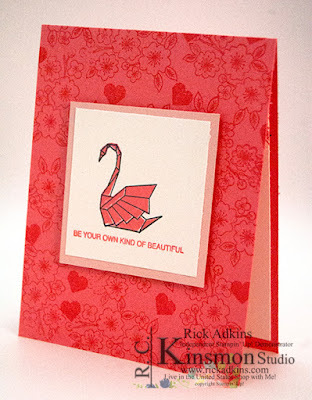 This weeks Simple Stamping Video Tutorial will Premier on my YouTube Channel at 11:00 AM CST. So you will want to check it out! You can click here and go to my channel or click on the image above. I hope that you have enjoyed my post for today and that you have a wonderful weekend. You can pick up the supplies for this card in my online store. You will find the shopping list below and all you have to do is click on the images you would like. Yesterday, I announced the release of the Saleabration Coordination products! You can see that post here. If you would like any of these items you will want to get them ASAP because they are only while supplies last. There has also been new Saleabration items added as well so you can still earn as you shop for the next few weeks. 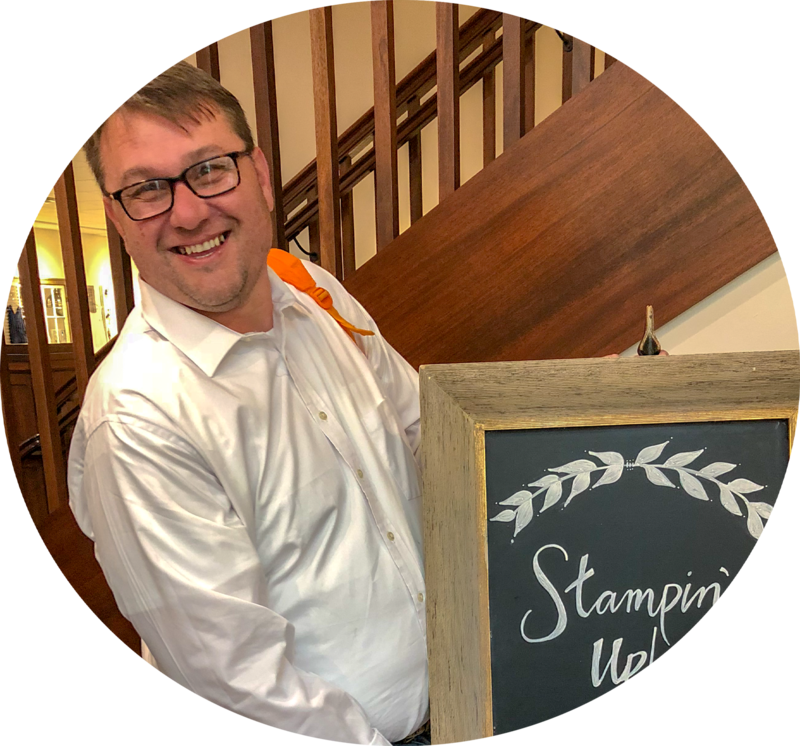 Labels: stampin' up!, crafts, cardmaking #simplestamping, Artfully Folded Stamp Set, rick Adkins, Stampin' Up!